You have to practice what you preach. We’re big on branding and we always push our clients to promote a strong, clear brand. By that, we mean a brand that customers and employees will want to stand behind; a visual identity that actually increases the value of the company. Rewind to six weeks ago when we began scrutinizing our own brand (and we're only six months old!). There was something we all felt, but no one wanted to address. We love the brand we’ve created for Sidekick Creative and we think it resonates not only with our values but with our clients and the public as well. We are, in short, the creative sidekicks for businesses and organizations. It's our core philosophy from which the rest of the brand is built. That being said, our brand was in the midst of an identity crisis: we'd been working hard on the wholesale/retail side of our business and it was taking on a life of its own. We began to realize that if a potential new customer were to stumble upon our website, Facebook or Instagram, they might be confused as to what services we offer. Is Sidekick a graphic design studio or do they just make greeting cards? Companies run into this problem all the time when they add a capability that strays from their mainstream services. Luckily, there are a few solutions. Say a photographer who has built their business on weddings wants to start offering pet photography (yes, that’s a thing now) and fine art prints. We would suggest that she create sub-brands for her business: XYZ Weddings, XYZ Pets, XYZ Fine Art. Each sub-brand warrants its own page on a website, its own portfolio, and maybe, if the photographer is able to make the time commitment, its own social media presence. Another solution? Create an entirely separate brand, and after much deliberation, this is where we landed. While our graphic design services and wholesale/retail offerings both revolve around design, we felt that separate brands were the best way to eliminate brand confusion. 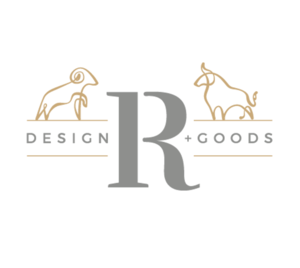 [Drum roll...] So, without further ado, we're excited to announce: Ramble Design & Goods! From now on, all of our wholesale and retail items will be available through Ramble, while Sidekick will remain focused on our client services. A lot of hard work went into this decision, but coming up with a name was easy. In fact, all three of us knew what it would be without even talking to each other. "Ramble" was the runner-up at the end of our weeks-long name exploration that led to Sidekick. It was a name that we absolutely loved, (for reasons to follow) but we ultimately felt that "Sidekick Creative" better represented our graphic design services. From the name came the logo, followed immediately by the brand system. We wanted the Ramble brand to have its own unique identity while also paying homage to its parent company, Sidekick. So we created a wordmark that had a similar feel. Then, to set it apart, we added an illustrative element to the logo. The astrological animal signs were obvious choices. The delicate linework is a nod to the fine lines on star charts, like a celestial connect-the-dots. The interwoven forms create visual depth and keep the eye moving around their curvelinear forms. Once the horizontal and stacked versions of the logo were finished, we continued on to create an alternate badge lockup and a monogram (because who doesn't love monograms?!). When you add up the logo assets and translate them into the different colorways (we have five swatches in our palette), it might seem like a lot to handle. However, creating a robust brand system from the outset ensures that we won't be wasting time later on. We know we're going to need the logo to be flexible across different platforms and applications (our website, various social media accounts, business cards and print collateral, our products...the list goes on!) By building brands that are versatile and comprehensive, we're saving time, money and future headaches. So, there you have it! Ramble Design + Goods is up and running. To see what we've been working on, head over to the new website, and check out our hot-off-the-press Holiday card collection! It’s never too early to start thinking about the holidays. Cheers!